Death from tooth abscess was a fairly common occurrence up until the 20th century, even though methods of tooth cleaning were practiced for thousands of years. Just like you need to prep for all forms of hygiene, you need to seriously consider oral hygiene preps. And in SHTF, you need to clean your teeth as often as possible. Store a good quantity of spare tooth brushes. You should change your brush when the bristles start flaring out. Don’t throw them away though, they make good additions to your weapons cleaning kit. There are some natural alternative to factory tooth brushes. For centuries people have used “chew sticks” to clean their teeth. This is simply a small twig flared on the end to simulate a tooth-brush. Find a twig about the thickness of a pencil and chew on the end until the fibers separate. Not all woods are suitable. Some that work well are Willow, Ash, Chestnut, Peach, Hazel, Apple, and Birch. Factory tooth paste is good to stock up on. Estimate a tube a month per person. There are a number of alternatives that are just as good though. Brushing with even plain water can help. Baking soda and salt are also good substitutes. If you are planning on bugging in for extended periods, you will want to stock up on these two items anyway. You can make an effective tooth paste by combining the two. Mix one part salt to two parts baking soda after pulverizing the salt into powder. It will remove plaque and help keep your gums healthy. Flossing is actually more important than tooth paste. 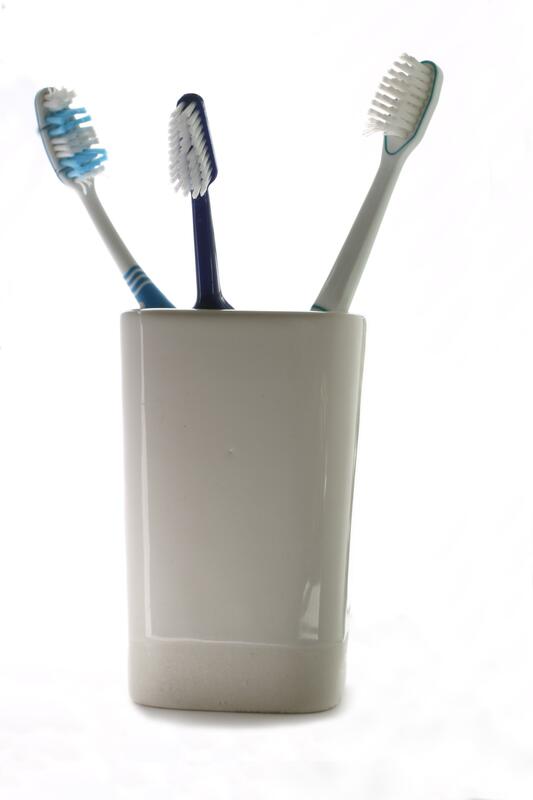 Your tooth-brush can only reach about 2/3 of the teeth surfaces. If you run out of floss, thread from your sewing kit can be used. Flossing is an essential part of oral hygiene, especially in the field. Even just rinsing your mouth with water by forcing it between the teeth will help. An excellent mouth rinses is 3% Hydrogen Peroxide, mixed with an equal amount of water. Rinse your mouth with while forcing it through the spaces of the teeth for about 15-30 seconds before brushing. This will kill a lot of the bacteria that causes oral health issues. 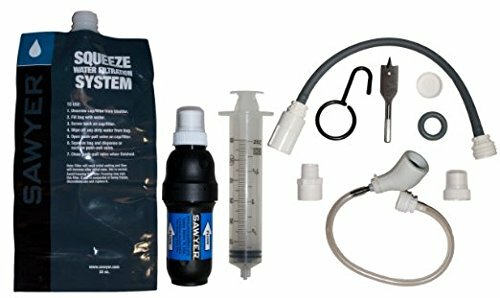 Many preppers will go to considerable lengths to stock first aid supplies, manuals, and take first aid training courses to be prepared for SHTF scenarios. But even under ideal conditions, with a dentist available, many people will have dental issues. In a SHTF situation, without the availability of a trained dentist, this situation becomes serious. An abcessed tooth can end up killing you as dead as a looter’s bullet. Learning to apply dental first aid is a critical skill all preppers should consider. Where There Is No Dentist is an excellent book that covers a broad spectrum on oral health, and dealing with many of the oral health problems you would find in a SHTF situation, and how to handle dental first aid in a primitive setting. It is a first aid manual for your teeth. It should be in every prepper’s library. Both our first aid kits contain a bottle of clove oil to keep us climbing the wall with tooth ache, plus OTC tooth repair kits for lost fillings. The tool roll I carry contains the basic tool for tooth pulling (pliers) after the hip flask (plus a few chosen opioids) has rendered me totally numb to all such activities. (Been there and had a tooth pulled by another). p.s. It hurt like hell!